Investment costs are one of the few things you can control in the world of finance. Future performance may vary. Costs are certain. For the Irish investor, it’s often impossible to get a picture of the true costs of accessing an investment. Moneycube’s out to change that. At Moneycube, we feel strongly that investors deserve a fair deal on fees. Put simply, we believe investments and pensions should be simple, clear and affordable. That’s why we’re really clear on what we charge – click here for details. We’ve also been laying out the true costs of investing for readers of the December 2017 issue of Business and Finance magazine. 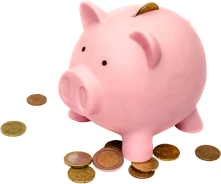 What’s a reasonable fund management fee? How can I avoid hefty exit charges when I sell my investment? Which funds pay 20% ‘incentive fees’ to their managers? There are some grounds for hope that investment costs will reduce, and fees will become more transparent to the Irish investor. 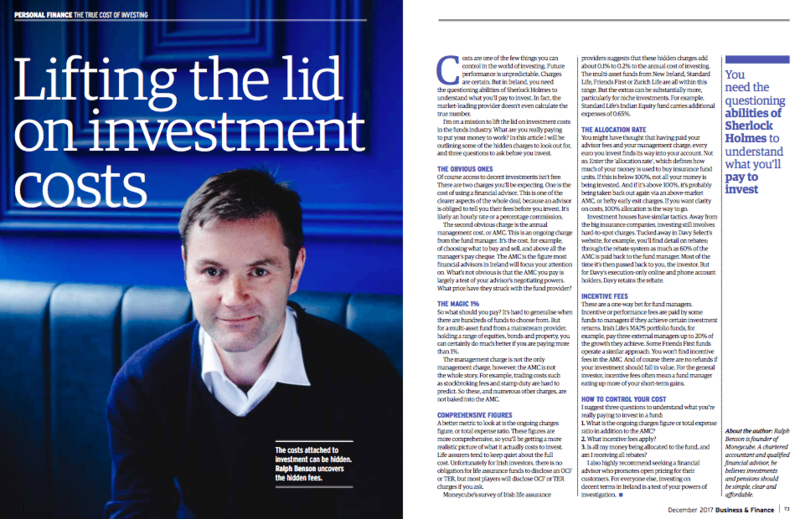 Businesses like Moneycube, and like-minded people at enough.ie and lion.ie, for example, are leading the charge to drive a better deal for people in Ireland when it comes to saving, investing, and protecting your assets. And the Central Bank of Ireland is increasingly interested in getting a fair deal for consumers when it comes to investing their money. In the meantime, why not read our article, and ask some of the questions it poses next time you are face-to-face with someone trying to sell you a financial product!